It is never a funny experience for a big player to be snubbed on prestigious grounds. To be sincere, it must be a very difficult 2018 for Barcelona and Argentine maestro, Lionel Messi, who has been denied recognition during major awards one after the other during the year. First, it was the UEFA awards which he lost to Real Madrid midfielder Luka Modric, followed by the FIFA Best Awards that was won by the same player, before the Croatian came back to make it a hat-trick with his Ballon d'Or triumph recently. What is most embarrassing is that Messi failed to make the final 3-man cut in each of the aforementioned awards - rendering the 5-time Ballon d'Or winner desperate to prove himself once again and reclaim his status as the best player on the planet. Although it will be an enormous task for Messi to regain his dominance on top of the game, considering the level of competition and the recent developments in the sport. However, the Argentine is well-placed to rule the football world once again, and below are 4 reasons why he will do so this season. Lionel Messi is not one of those players that often come out during interviews to tell us how determined they are to progress in their respective careers each season, but the Argentine always does all the talking with his scintillating displays right there on the pitch, and he has done that several times during the current campaign. 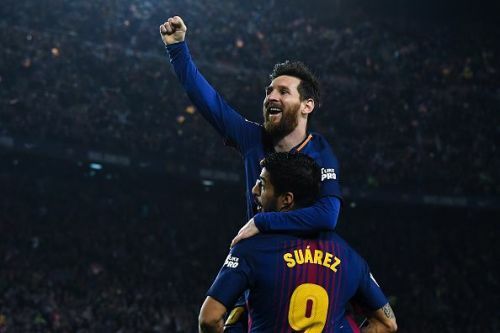 Barcelona have not been very consistent with their performances this term, yet Lionel Messi has ensured that they have secured their passage into the knockout phase of the UEFA Champions League, as well as establishing the Catalans on top of the LaLiga table after 14 matches. 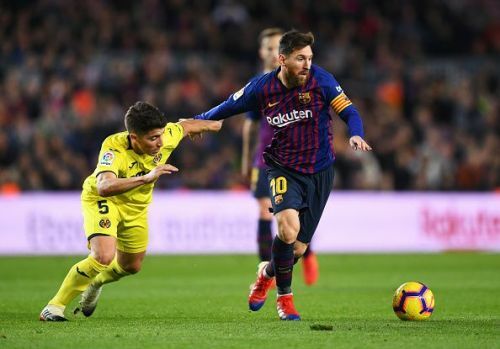 The Argentine has been a difference maker for the LaLiga champions in a couple of big games this season, evidently firing his side to victory against Tottenham Hotspur during their Champions League encounter, and he has been saving the Blaugrana's blushes when they fail to impress just as we saw against PSV Eindhoven recently as well as a number of LaLiga fixtures. Such incredible efforts are evident displays of his solid determination to conquer the football world during the campaign.